Following the success of the first book, published by the author in March 2004, and because of the many letters sent to the author with requests for specific information, the Second Edition, with 70 more pages than the first, goes into more detail with step-by-step instructions on submitting applications to Trafico, safety tips to help survival on the roads in Spain, updated laws, and how to avoid having to go to Trafico which is often, for many, hours away. Written in an easy to read way and supported by a web-site to keep the information up to date, this book is the definitive reference guide. Designed to be carried in the car: just in case! A must have for anyone visiting or living there, and driving on the roads. 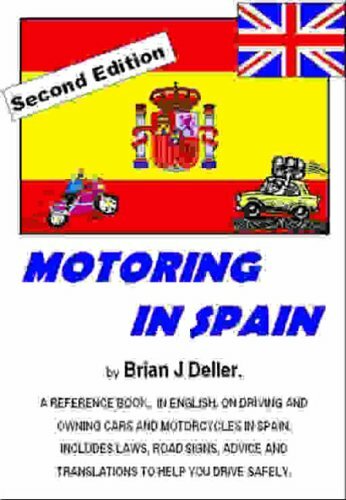 Brian Deller has retired and has written this book as there is a real need for it in Spain. Sad tales abound of ex-pats falling foul of the law uneccessarily and paying large fines or even being banned because of ignorance of the rules, and also many bar-room arguments are answered with this book (as reported by readers). The cost of the book is soon saved the first time you have to deal with Trafico, and find you can do it all by post with the easy to follow instructions. Even the standard road accident insurance report form is in the book, in English. Contains information needed by the English visitor or resident of Spain about owning, renting and operating vehicles (including motorcycles) in Spain.